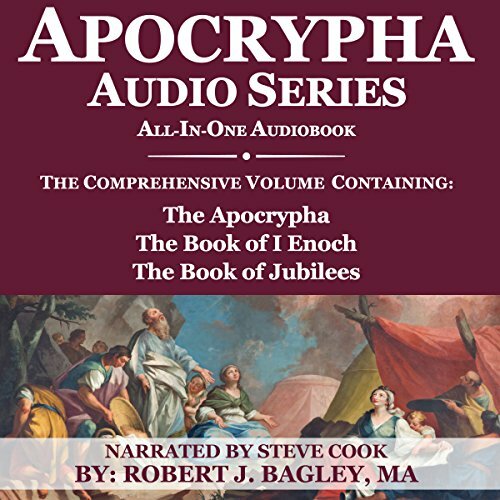 Showing results by author "Robert Bagley"
Taken entirely from four Books of the Apocrypha, this audio contains the original King James Bible: Tobit (Book 3), Judith (Book 4), The Rest of Esther (Book 5), and The History of Susanna (Book 10). 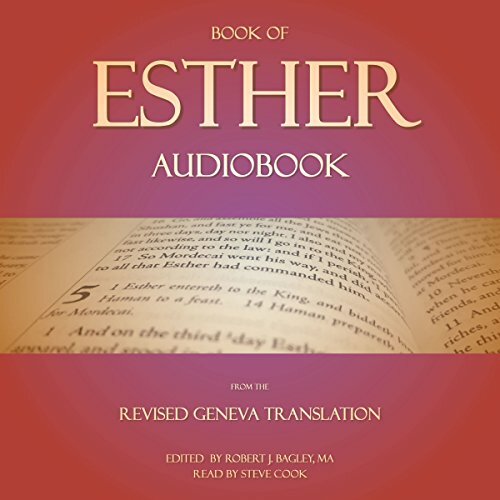 For contextual reasons, we have also included the biblical text of Esther (Chapters 1-10). 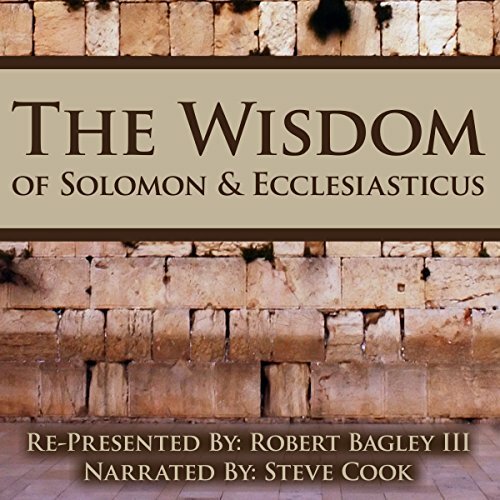 Both The Wisdom of Solomon and Ecclesiasticus are excerpt books from the Apocrypha. Here’s a quick introduction to each. The Geneva Bible is an Elizabethan-era synthesis of Scripture, based largely on William Tyndale and Myles Coverdale's early 16th-century translations of the received Greek, Aramaic, and Hebrew texts. It is 85 percent similar to the King James Bible. 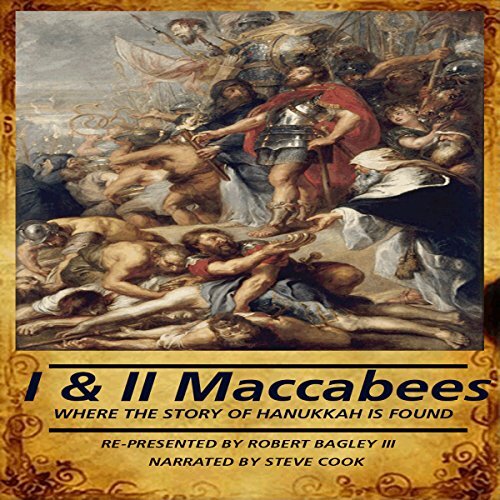 However, it actually pre-dated the KJV by at least a half-century and was in fact the more popular Bible of its day among folks like the American Pilgrims, William Shakespeare, Oliver Cromwell, and John Bunyon. 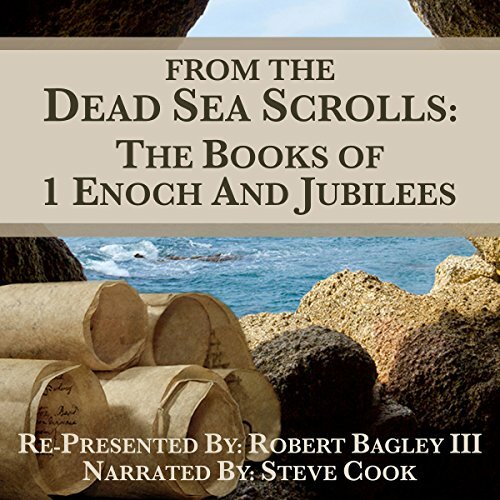 Read for you by three-time number one Amazon best-selling narrator Steve Cook, this recording features two complete versions of the Psalm, both with and without music. 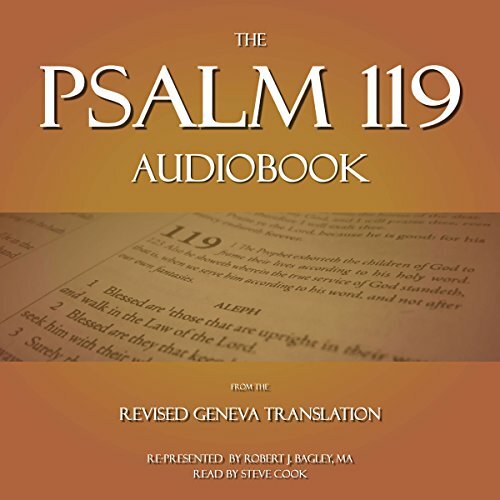 Taken from the text of New Geneva Bible translation, this edition of Psalm 119 updates archaic and potentially distracting 16th-century words and phrases without compromising the textual cadence and poetry that is so essential to Elizabethan literature. 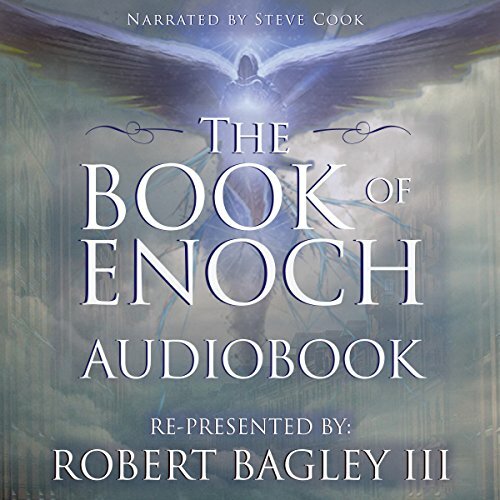 The offspring of the Watchers (and their human mates) were what the bible calls "giants" or "Nephilim." These half-humans/half-fallen-angel hybrids were extremely wicked, and began eating everything and everybody! This is the reason, some scholars say, for God's sending the flood of Noah. 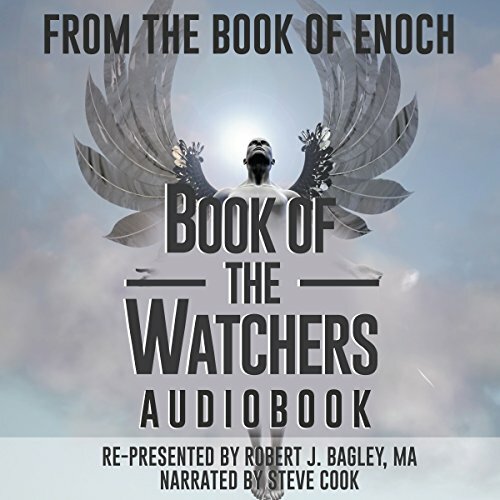 Additionally, The Book of the Watchers outlines how these fallen angels corrupted mankind by teaching them forbidden knowledge of weapon-making, sorcery, witchcraft, astrology, and other forbidden technologies. really brings the book to Life. 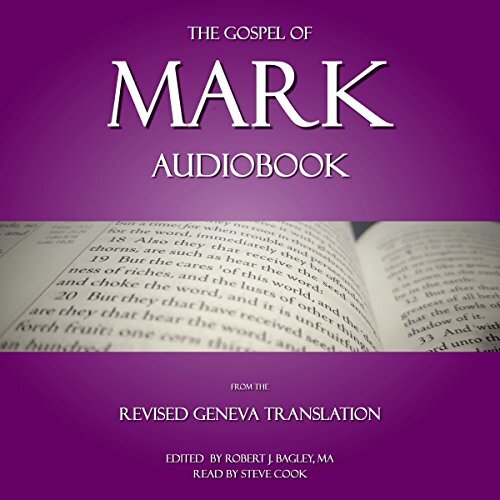 The Geneva Bible is an Elizabethan-era synthesis of Scripture, based largely on William Tyndale and Myles Coverdale's early 16th century translations of the received Greek, Aramaic, and Hebrew texts. It is 85 percent similar to the King James Bible. However, it actually pre-dated the KJV by at least a half-century and was in fact the more popular Bible of its day among folks like the American Pilgrims, William Shakespeare, Oliver Cromwell, and John Bunyon. 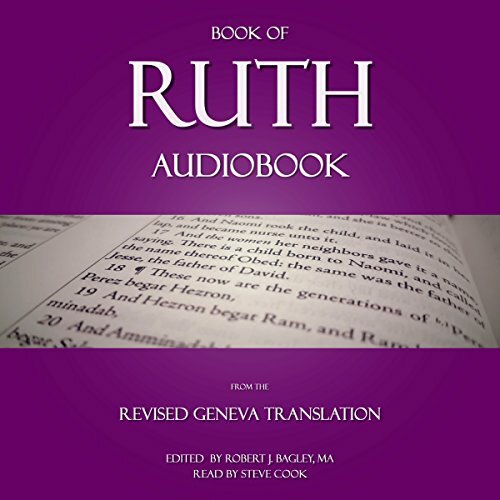 Listen to this recording of the Book of Ruth, taken from the Revised Geneva Translation, a 21st-century update of the Geneva Bible. 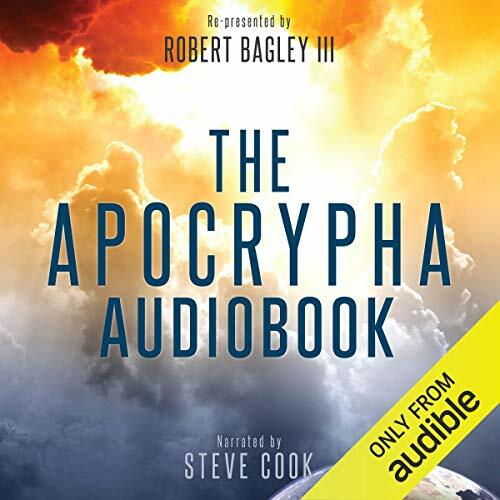 It eliminates archaic, and potentially distracting, 16th-century words and phrases, while at the same time maintaining the strict attention to the original intent for which this version of The Holy Bible has always been known. In addition, the RGT strives to preserve the textual cadence and poetry that is so essential to Elizabethan literature. 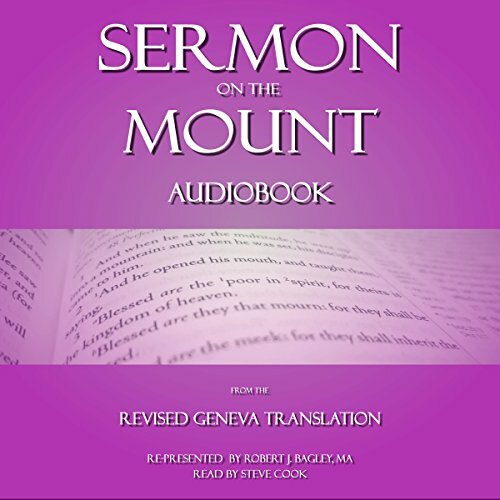 This recording features the revised Geneva translation, a 21st-century update of the Geneva Bible. 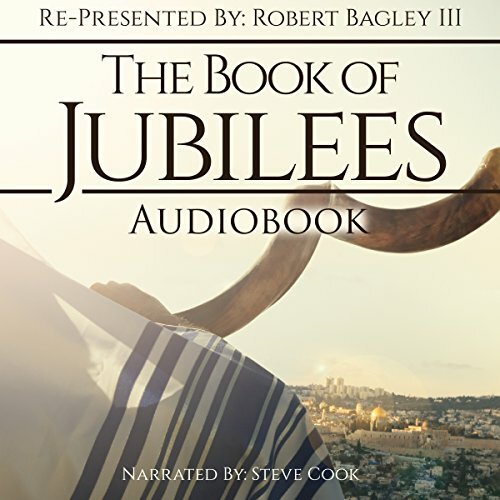 It eliminates archaic and potentially distracting 16th-century words and phrases, while at the same time maintaining the strict attention to original intent, for which this version of the Holy Bible has always been known. 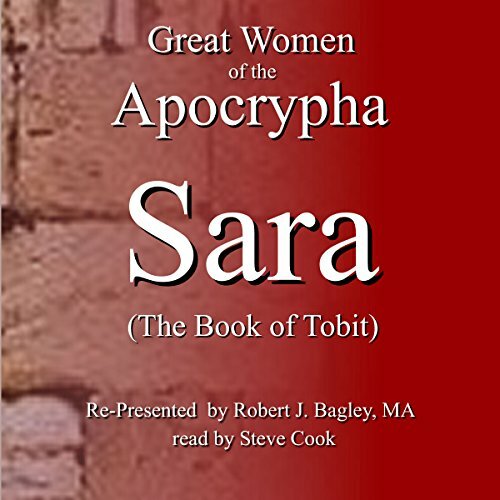 Read by best-selling narrator, Steve Cook, enjoy Sara: Book of Tobit in the Apocrypha. Sara is miserable because of numerous marital misfortunes, and she eventually prays to God that he would let her die. 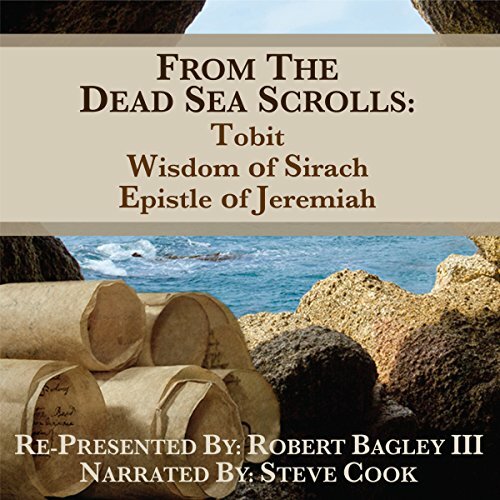 Her story is intertwined with that of Tobit, a righteous man who lived in Nineveh (a town many miles away) near the time of Jonah, the biblical Prophet. Tobit, for reasons of his own, also prays to God to allow him to die at the very same time Sara does. 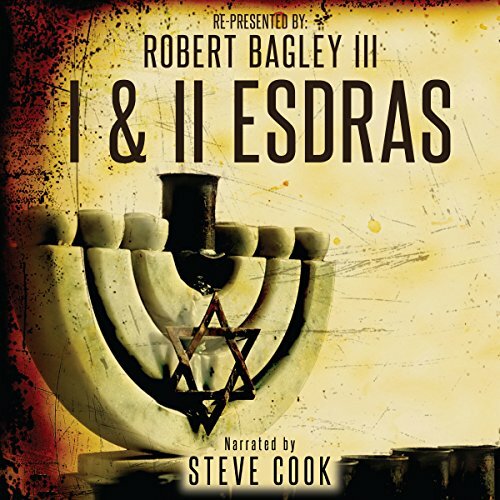 As a young professional, Robert Bagley climbed and overcame many corporate mountains, eventually earning a high six-figure income with several Fortune 500 companies. Still, something was missing from his vocational career.... He embarked on what would prove to be the most incredible game-changing season of his life. 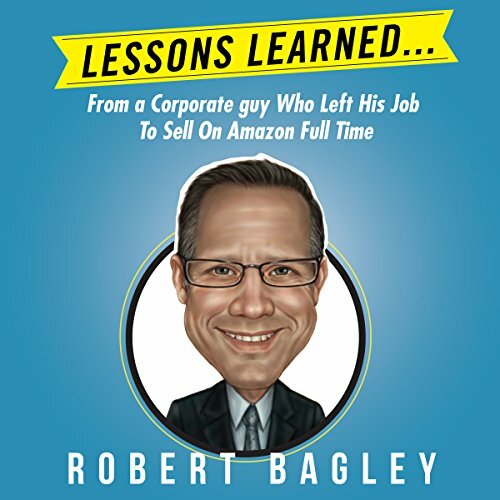 You'll be inspired, motivated, challenged, and moved to action by Robert's life story and how selling on Amazon and eBay pulled his career toward a whole new path of becoming an e-commerce entrepreneur. 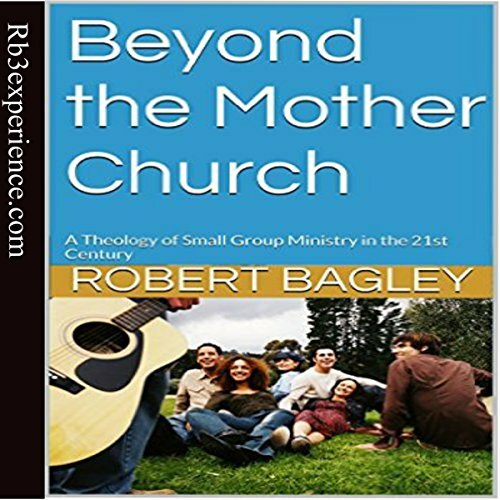 A theological evaluation of the important role that "cell" or "small" groups play as a branch of the "mother church" from which they are birthed - with an emphasis on how they impact the surrounding community. Four main topics are explored as they relate to small group ministry in our postmodern society - prophetically glimpsing at its impact on the rest of the 21st century. 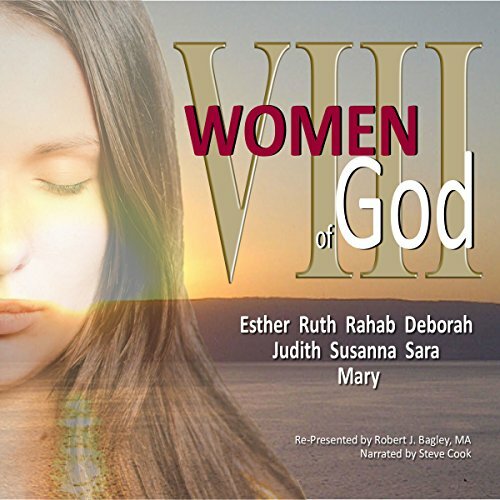 "The role of women in the Bible has been a universal source of discussion for generations. The Abrahamic faiths which emerged from ancient biblical history have turned to the scriptures for advice and role models for women's behaviors and purpose. In fact, the scriptures have recorded guidelines defining these things. 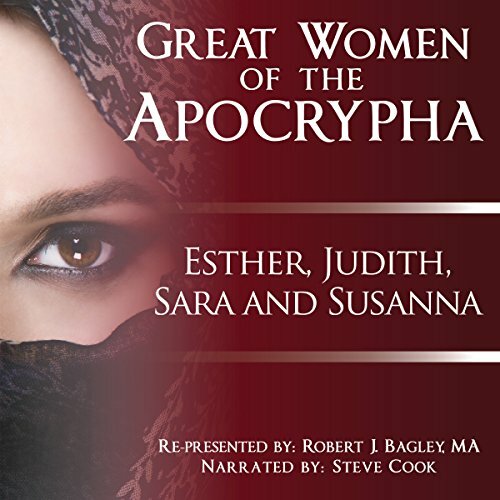 Viewed through the lens of culture, some writers have attempted to interpret significance of the scripture lessons and stories about women in relationship to current events. For some, the ancient stories no longer reflect the woman of today. Feminist viewpoints have explored the value of supposed freedoms, and certainly dealt headfirst with issues previously unspoken. Women have indeed suffered through cultural expectations which have produced mental, emotional, physical and sexual abuse, slavery, marginalization, and a host of social ills. But, the truth is that the scriptures are the source for understanding how God would have his womanly creation live life to the fullest."